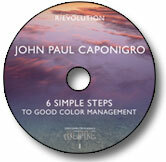 If you are beginning, intermediate or advanced, there will be surely an “aha!” by the end of this DVD as the entire color management process unfolds and as your understanding builds. In this innovative presentation of color management, expand your understanding of color at the point of capture, as it is transformed in Photoshop and then printed. As photographers and artists, our cameras, monitors, Photoshop, printers, papers, and environment, all are parts of a complex process. That process has been distilled and streamlined into simple steps that will help you control color and get the very best results possible. 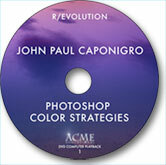 Learn a practical six step workflow; a cumulative progression so that your color is consistent and precise. Learn to see your images from a new color perspective and learn the practical strategies necessary to control the desired result. The content and visual aides culminate in a jam packed conclusion that will take your learning to another level. Capture NX2 unlocks my creativity in ways I never imagined. Using this software, the impossible becomes just an opinion. Capture NX2 is a RAW processor that allows you to be in the 21st century. With this DVD set you will quickly learn the new features of NX2! You will also learn the “why and how to” of the features form a professional photographer’s perspective. Then, go beyond the features and learn to use NX2 as a powerful creative tool to aesthetically enhance your images. This DVD set delivers this unique combination of content and implementation, allowing you to unleashing the RAW power of NX2 as well as your creativity. 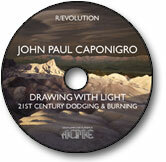 You will want to listen and watch the DVDs many times to absorb and integrate it all! This is the best way to learn Capture NX2! Vincent shows you how the program works, including the user interface and new 2.0 features. Embedded in the content is not only the nuts and bolts of NX2, but also a workflow approach from a photographer’s perspective. Learn not only the features, but when and why to use them. Learn the 100% non-destructive workflow with RAW data, working on both global and local granular adjustments to your images. Be prepared to say “Wow” as you learn to control color and light by creating complex masks on the fly without brushes, selections or curves, letting the software do the heavy lifting. Learn how to enhance images in file sizes that are not hundreds of megabytes, but tens of megabytes, saving you disk space and processing time. The enhanced feature set of NX2 is extraordinarily powerful and you will learn how to take advantage of its potential. One of the biggest challenges with photographic software is knowing when to use specific features on an image. In this DVD, learn how to creatively use the NX2 features in your work. Vincent pulls all the features together for you as he applies the NX2 tools to real images. Watch these images transform in front of your eyes! It’s not only fun to watch, but it will open your mind to possibilities that you can then apply to your own images. For those interested in infrared (IR), Vincent has expanded upon the IR segment in the first Capture NX DVD set, and in this DVD covers three different types of IR and the benefits of each. Learn more about IR, including how to shoot for maximum detail and how to make the choices in NX2 to maximize the captured detail. In addition, you will see images of clouds and flowers, and will learn to combine several features to create more powerful images than you would have thought possible within a RAW file. Also, you will learn how to retouch a photograph to get a classic black and white look. Get the full understanding of the why of the technique and how it fits in to the workflow so that you can apply them to your own images. If you want to learn NX2 and quickly get up to speed on its features. If you have NX2 as well as other imaging programs, you will learn those very special features that you will most definitely want to do within NX2, learning how to use them and understanding why you want to do them within NX2. If you have Vincent’s first Capture NX DVD set, you will appreciate the new 2.0 feature presentation but also the advanced image editing workflow that is sure to open your mind to new possibilities! This four DVD tutorial is for anyone who has ever taken an image in which the focus was a wee bit “off”. Maybe you tried to photograph a waterfall and, regardless of your exposure and how carefully you set up your tripod and camera, the focus was a little too soft, or perhaps you have images that you know were in focus when you shot it them, but because of the type of sensor or the way the RAW file was processed, the sharpness you knew the lens could deliver is missing in the images on the screen. Included also are three free plug-ins from NiK software (Contrast only, Skylight, and Tonal Contrast ) as well as a set of actions for both CS3 and CS4 . In addition, if you have CS4, you will also get a Configurator Panel. This tutorial DVD will show you a “how to” approach to the Lazarus Effect using both third party software, as well as a Photoshop only approach using the free plug-ins. The reality is that there is not just one way to convert an image from many colors to hues of gray. Every black and white conversion approach has some images on which it will work, and many others on which it will not. Split Channel conversations – what they are good for and a way to get the same effect with a file two thirds the size. Multiple Channel mixer black and white conversations that replicate the physics of film. These are some of the areas covered in the CD, but most importantly, every technique has already been made into an action for both CS3 and CS4 …. AND if you are using CS4, the actions have been made into a Configurator panel that will help to speed up your image production workflow. In addition to the actions and Configuartor, you also get a full resolution file to work on as well as a 100ppi version of the actual file that was created during the filming of the DVD. Add to this a computer resolution Quicktime of both DVD 1 and DVD2 to download to yoru computer’s hard drive to watch as you work in Photoshop and you have a lot of information packed into one CD. These are some of the areas covered in the CD, but most importantly, every technique has already been made into an action for both CS3 and CS4 …. AND if you are using CS4, the actions have been made into a Configurator panel that will help to speed up your image production workflow. In addition to the actions and Configuartor, you also get a full resolution file to work on as well as a 100ppi version of the actual file that was created during the filming of the DVD. 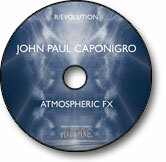 Add to this a computer resolution Quicktime of both DVD 1 and DVD2 to download to yoru computer’s hard drive to watch as you work in Photoshop and you have a lot of information packed into one CD.